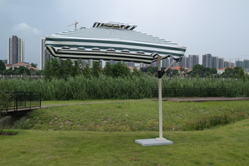 Offering you a complete choice of products which include cantilever umbrellas, garden side pool umbrella, heavy duty umbrella, side pole umbrella, side pole umbrellas and garden ss frame umbrella. With the valuable assistance of a creative team of our professionals, we are offering a wide range of Cantilever Umbrellas. Comes with corrosion resistant fixers & poles, the offered umbrella is uniquely designed by our skilled workforce using top quality material & techniques in compliance with market trends. 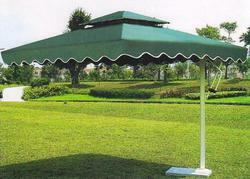 We offer this umbrella in diverse finishes and customized options as per the details specified by clients. As well, our umbrella is checked in terms of quality in order to deliver an excellent range at customer’s end. 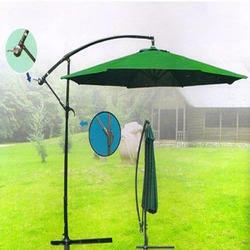 We offer a wide range of Garden Side Pool Umbrella. Offered in various colours, designs and patterns, Heavy Duty Umbrellas are offered with immense options to make a choice from. Having a very strong framework, these side pole cantilever umbrellas are strong in construct and in addition to this, these demand minimum maintenance. Our Heavy Duty Square Aluminum Umbrellas are offered at cost effective prices and are widely demanded because of their varied design patterns. Metro Plus Life Style offers various colours, designs and patterns, in our Side Pole Umbrellas are offered with immense options to make a choice from. Having a very strong framework, these side pole cantilever umbrellas are strong in construct and in addition to this, these demand minimum maintenance. 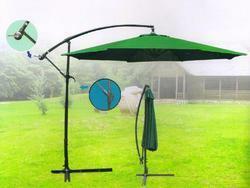 Owing to our vast experience in this domain, we are engaged in offering an excellent range of Side Pole Umbrellas. Our umbrella is designed by making use of high-quality fabric & modern techniques keeping in mind the latest trends of the market. 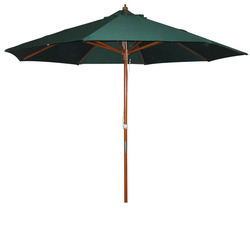 The offered umbrella comes in a number of sizes & styles so as to deliver a defect free range. Our customers can take this umbrella from us within a given time frame at a reasonable price. 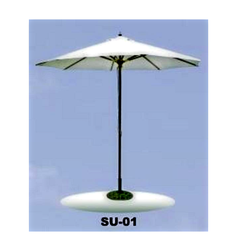 Owing to the expertise of our skilled and experienced professionals, we are able to offer Garden SS Frame Umbrella. Comes in different styles in order to suit the bar standard, the offered product is designed using excellent quality raw material and advance technology under the supervision of quality controllers. Also, we are offering this item in various sizes at affordable prices. Offered in various colours, designs and patterns, garden & Cafeteria Umbrellas are offered with immense options to make a choice from. 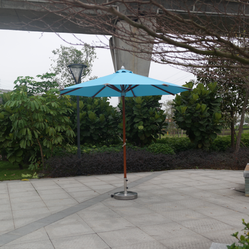 Having a very strong framework, these side pole cantilever umbrellas are strong in construct and in addition to this, these demand minimum maintenance. Offered in various colours, designs and patterns, Hut Umbrellas are offered with immense options to make a choice from. Having a very strong framework, these side pole cantilever umbrellas are strong in construct and in addition to this, these demand minimum maintenance. 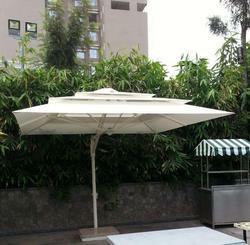 With state-of-the-art infrastructure facilities, we are engaged in offering a large range of Outdoor Umbrellas. Offered products are highly demanded in market due to their long life and excellent finishing. These are manufactured using quality assured raw material as per the set quality standards. Additionally, these have accurate dimensions and are available in market at very economical prices. 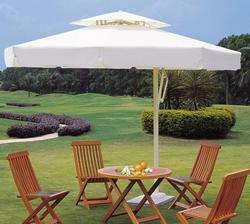 We are an eminent name, engaged in manufacturing, trading and supplying a unique range of Garden Umbrella Parasol. 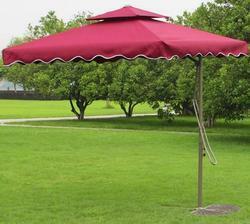 Our umbrella offers protection against the harsh rays of the sun and creates a relaxed environment. 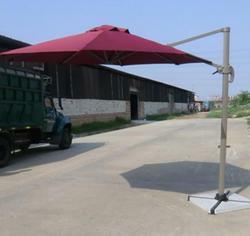 This umbrella is checked by our quality experts in order to supply the best quality range in the market. Also, the offered umbrella is provided in numerous customized designs so as to meet the needs of customers. 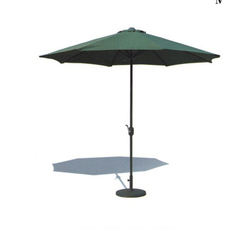 As per the variegated requirements of our clients, we are offering a broad collection of Garden Heavy Umbrellas. Demanded for both commercial and office use, offered chair is designed using the most appropriate quality material and progressive technology in line with the international norms. Extremely demanded for its elegant look, offered chair is well designed by our team of highly accomplished professionals. Offered in various colors, designs and patterns, our Side Pole Cantilever Umbrellas are offered with immense options to make a choice from. Having a very strong framework, these side pole cantilever umbrella are strong in construct and in addition to this, these demand minimum maintenance. 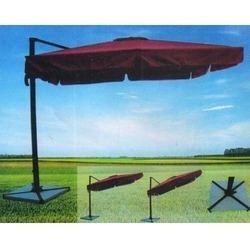 We offer a wide of Garden Heavy Umbrella.